ATLANTA — Several trucking industry leaders were honored at American Trucking Associations’ 2019 Technology & Maintenance Council annual meeting awards lunch on March 20. Pedro Garza, a service writer with Texas Disposal Systems, and Leonard Wheatley, a maintenance supervisor with FleetPro Inc., were honored with the Excellence in Maintenance Supervision Award. The award honors a front-line supervisor for excellent performance in a maintenance supervision role. Abhishek Bharadwaj, the north central sales manager at Alcoa Wheel & Transportation Products; Alexandra Knight, manager of market segmentation at Class C Solutions Group; and Mark Willis, business development manager for HDA Truck Pride, were honored as Recognized Associates. 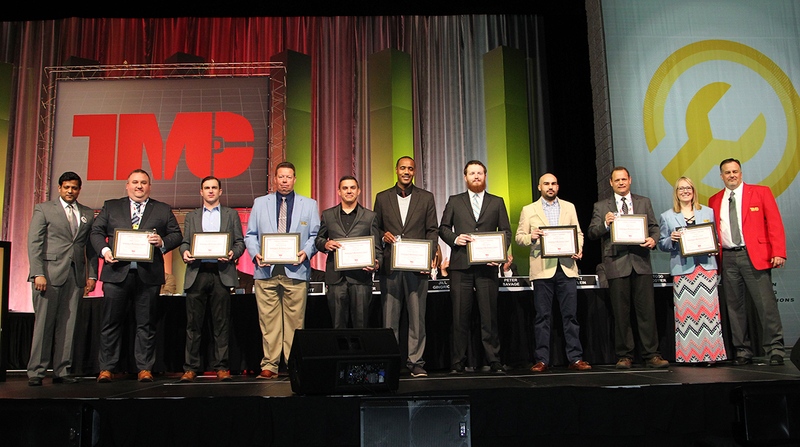 TMC also announced the graduation of the inaugural group of candidates from its TMC of Tomorrow Leadership Development Program, which is dedicated to developing the next generation of leaders within TMC and the transportation industry. Amanda Schuier, Quality Transport Co.